The wait is over - Dethklok mastermind Brendon Small has unleashed a brand new, full track cut from his upcoming high-stakes intergalactic extreme rock/metal album "Galaktikon II: Become The Storm" (August 25, 2017 | Megaforce Records/MRI). The new single, entitled "My Name Is Murder", is available via all streaming platforms since June 23 (Spotify | Google Play | Apple Music | Amazon). Brendon Small said, "I wrote all the riffs for "My Name Is Murder" in one sitting, and it quickly became a favorite while we were making the record. Story-wise, this song is about a bad dude doing very bad things, and writing from the POV of a bad guy is very, very fun for me." Pre-orders for "Galaktikon II: Become The Storm" are available now at the links below in all digital and physical formats (including vinyl/picture disc). "My Name Is Murder" is available as an instant grat download when you pre-order via iTunes and Amazon. In addition, another new track - "Nightmare" - is available via iTunes/Amazon, only as an instant grat with pre-order. The streaming launch of "My Name Is Murder" comes fresh on the heels of Brendon Small's official San Diego Comic Con signing announcement. 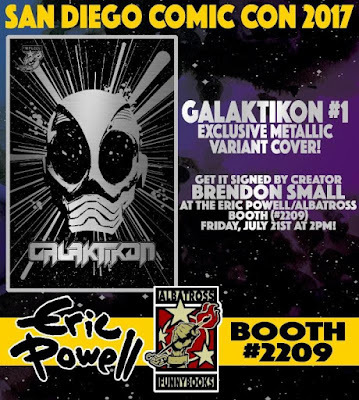 Part one of Albatross Funnybooks' GALAKTIKON - a six-issue series of comic books written by Brendon Small and five-time Eisner Award winner/Albatross founder Eric Powell - will hit stores on August 2. On Friday, July 21 at 2:00 p.m. at the Eric Powell/Albatross booth (#2209), Small will sign copies of a San Diego Comic Con-exclusive metallic variant cover version of the comic. Don't miss your chance to have your comic signed by the man himself. For more information on "GALAKTIKON," visit thegoon.com/albatross.html. 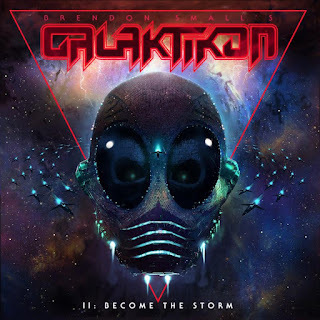 "Galaktikon II: Become The Storm" follows the space-age theme of 2012's original "Galaktikon" album, with a conceptual storyline and a heavier, darker, more brutal sound. 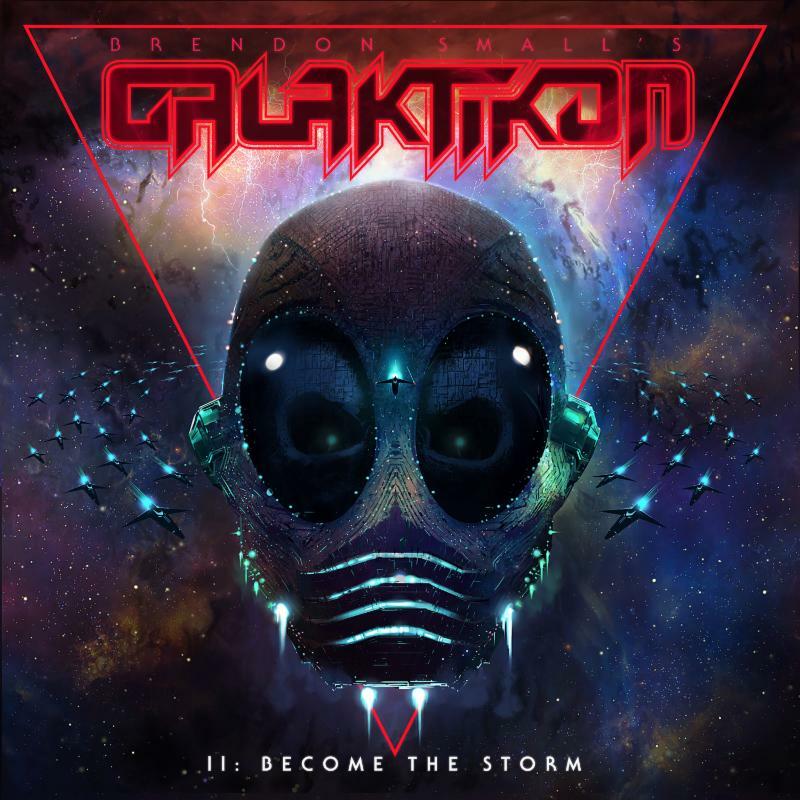 In addition to Brendon Small and Grammy-nominated producer/engineer Ulrich Wild (who also worked on the Dethklok albums), "Galaktikon II: Become The Storm" features the distinct rhythmic powers of drum legend Gene Hoglan (Testament, Death, Dark Angel) and bassist extraordinaire Bryan Beller (The Aristocrats, Joe Satriani, Steve Vai). With uncapped time and creativity on their side, the aforementioned artists have created a heavy metal opus that Dethklok fanatics will covet and newcomers to the world of Brendon Small will add to the top of their playlists.